India's GDP growth is expected to accelerate moderately to 7.5 per cent in the 2019-20 fiscal year, driven by continued investment strengthening, particularly private-improved export performance and resilient consumption, the World Bank has said. 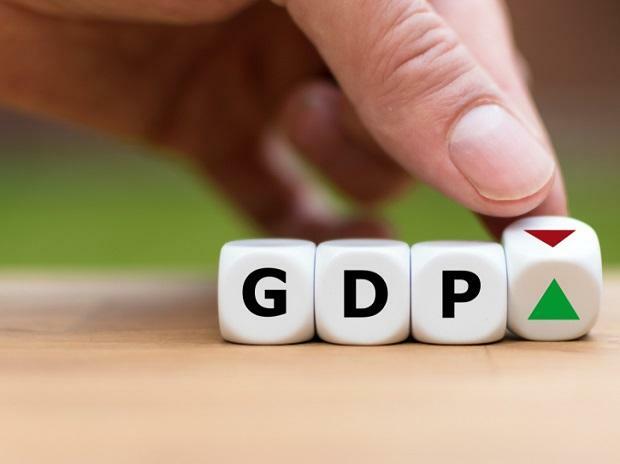 The real GDP growth is estimated at 7.2 per cent in 2018-19, the World Bank said in its latest report on South Asia on Sunday, ahead of the spring meeting of the World Bank and the International Monetary Fund (IMF). Data for the first three quarters suggests that growth has been broad-based. Industrial growth accelerated to 7.9 per cent, making up for a deceleration in services. Meanwhile, agriculture growth was robust at 4 per cent. On the demand side, domestic consumption remained the primary growth driver, but gross fixed capital formation and exports both made growing contributions. Over the last quarter, growth is expected to remain balanced across sectors, the report said. Inflation dynamics have been subdued over most of FY19, the report said. The World Bank said India’s GDP growth was expected to accelerate moderately to 7.5 per cent in FY20, driven by continued investment strengthening-particularly private-improved export performance, and resilient consumption. With robust growth, and food prices poised to recover, inflation is expected to converge towards four per cent, it said, adding that both the current account and the fiscal deficit are expected to narrow. “On the external front, improvements in India’s export performance and low oil prices should bring about a reduction in the current account deficit to 1.9 per cent of the GDP,” it said. "On the internal front, the consolidated fiscal deficit is projected to decline, albeit slowly (to 6.2 and 6 per cent of the GDP in FY20 and FY21, respectively). As the Centre’s deficit is budgeted to remain unchanged at 3.4 per cent of GDP in FY19/20, the burden of adjustment will rest on the states,” the World Bank said. A sustained decline in food prices since July 2018, subsequently complemented by the softening of oil prices and concomitant appreciation of the rupee, has led to a steady decline in inflation, it noted. Observing that headline inflation stood at 2.6 per cent in February 2019, and the average for FY19 so far at 3.5 per cent, well below the Reserve Bank of India’s (RBI's) target-midpoint of 4 per cent, the report said as a result, the RBI reduced the policy rate by 25 basis points (to 6.25 per cent) in February 2019. However, the report said the current account deficit widened in FY18-19. India’s external position worsened significantly in the first half of FY18-19, as large portfolio outflows were triggered by the US monetary policy and fears of contagion from stress in some emerging market economies. The nominal exchange rate depreciated, and foreign reserves declined by over 8 per cent over January to October 2018. Portfolio outflows have reversed, and the rupee has appreciated by about four percent vis-a-vis the US dollar since October 2018.